A and B pre-measured developer for pre-sensitized indirect films. 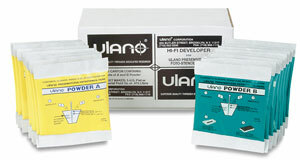 One packet each of A and B powder mixed with warm water makes 1 pint or 1 quart of developer. 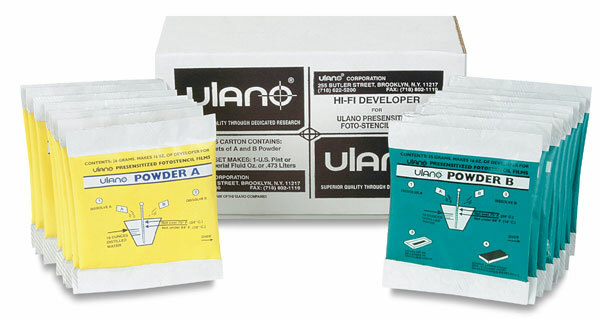 ® Ulano is a registered trademark.